Australia PR Visa—What Options You Have! Australia has innumerable benefits to offer–ranging from a better quality of life, a dynamic atmosphere, better government and extremely jovial people to live with. These qualities always motivate people, representing different countries and regions, to think about Oz. There are many people who end up in the overseas hotspot for ensuring that their coming generation gets a better livelihood. Basically, once you move to a developed country for work, after a stipulated time period, they ask the immigrant to apply for PR. In case of Australia, the PR visa also works in the same fashion. So, once immigrants have moved to the country, for work or education, after the completion of the education, if the aspiring immigrant gets opportunity to de absorbed in any sector in Oz, the Australian government never wants to let such bright minds leave their country, and they cajole the immigrants to stay back and enjoy their life as an Australian citizen. 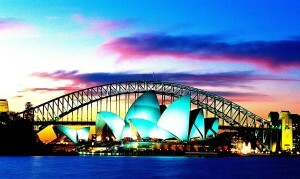 This is one angle towards getting an Australian permanent residency (PR). However, not every immigrant, who is in the country, is a student. So, the possibilities of movement for every individual willing to make Down Under their permanent abode are altogether different. In this piece, you will come to know about ways that can help you get PR visa for Australia. This visa category considers specified skills, and if there are immigrants who have such skills that can help them to get a job back there in Australia, after the completion of a specified period of stay, they can apply for Australian PR under the skilled independent list. The applicant has to ensure that the job he is engaged in is specified in the Skilled Occupation List (SOL) of the nation. This is similar to the visa discussed above. However, there are some basic differences that make it apart. In the Skilled Sponsored Visa, generally, an employer based in the nation will sponsor you to move. So, once you have moved and worked for a specified period–after feeling contented with the performance and they work that you do–the employer may sponsor you for PR, and you can file for Pr to Australia as per the requirement that are mentioned in the immigration norms of the country. And, if accepted, you can live as a citizen. If you have dependent parents and you are the only child working in Australia, you can apply for PR of your parents, and being dependent they can move to the country, unite with the family. At the same time, they can also apply for PR. As per the immigration norms, they are liable to get immigration as per the immigration act. If you are working in a subsidiary of an Australian company, and the subsidiary has planned to transfer you to the mother company, the mother company can sponsor you for getting Permanent Residency Visa for Australia. So, options are myriad, all you need to do is just make a choice regarding the one that best suits the requirement.